I have become increasingly dis-illusioned with football in recent months. Those that do not know me and wish to draw lazy conclusions would point to my team’s prolonged stay in League One and the inevitable Blades failure at Wembley. To which I would reply that we are one of three teams unbeaten in England at present. You might say that our home form plays a part, after all you can only see your team fail to hold on to a lead so many times in a two month period. But you would be wrong. Football is a game I have loved playing and watching since I was a small boy. I have watched through awful times; Heysel, Hillsborough, Bradford, yet at this moment in time football has lost its spark for me. 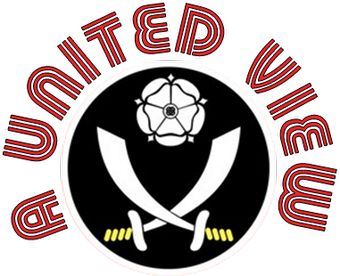 I was going to write about it here, but a fellow Blade Eddie Chapman has summed up my feelings very well in his first ever blog post, which you can read here. So instead I want to focus on events of Friday night at Hillsborough, when we not only witnessed despicable scenes during the match, but I watched the desperate double standards of football fans and local media in the aftermath. Whilst the assault understandably grabs the headlines, what went on around it is glossed over but paints a desperate picture that many were not willing to acknowledge and a past that many were determined to airbrush from history. Vile chants from fans of both sides. Missiles exchanged between stands, a smoke bomb hurled on the pitch from the home fans (a missile so dangerous that it scorched the pitch as a steward tried to kick it away) and seats destroyed and thrown in the away end. 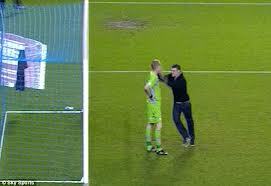 Firstly the pitch invasion and deplorable assault on Chris Kirkland. This was something I haven’t seen the like of before and I hope I don’t see again. I am also pleased that the typical throwaway comment that Neil Warnock threw into his post match interview, regarding Kirkland’s ease of fall, has since been retracted. It was an unprovoked, unexpected and cowardly attack that the perpetrator should be ashamed of. Sadly that hasn’t stopped people writing tweets suggesting that he went down easily or that he wouldn’t have gone down like that if he had been attacked in a pub. Those people want to take a long hard look at themselves and their lifestyle, if they think such comments are acceptable. Three seasons ago Wednesday escaped punishment for a pitch invasion against Crystal Palace. A match which saw opposing supporters clash on the pitch and Palace player Clint Hill attacked by several Owls fans. This was all mysteriously forgotten by Owls fans over the last couple of days as they desperately tried claiming the moral high ground in an argument that was based down in the depths to start with. One claimed that what happened against Palace was nothing like last night. How was it not? In fact it involved more protagonists and still ended in assault. The only way it was different was that it was the final game of the season, winner stays up match. What can he say now? Given the heavy stewarding presence in front of the Leeds fans for much of the match, how was Kirkland’s assailant able to enter the playing area, attack the goalkeeper and leave again, re-entering the away following without being apprehended? There is no way Wednesday can suggest their match-day operation is successful when we have now had two on-pitch assaults, a distress flare thrown on the pitch and bottles and missiles thrown between fans? In fact, although I am happy for it to be proved otherwise, I don’t think any punishment was meted out to Hill’s assailants. Were they ever identified from the film of the incident? Have they ever been banned by the club? I don’t recall any reports of arrests or of club bans. Surely strong and highlighted action can play a big part in prevention. It would actually be in the club and police’s interests to utilise them media and show what happens to the trouble causers. I don’t recall hearing anything. How can that be seen as any sort of deterrent? Moving on to the chants heard during the match. Sick and abusive chanting has been a part of football for as long as I can remember attending. That doesn’t make it palatable, that doesn’t make it acceptable. Chanting and support of your team is one of the great communal aspects of attending football, but far too often the tribalism takes hold and it goes too far. I have been at Old Trafford as Blades supporters have sung Munich songs and I have been at Tottenham when anti-Semitic songs have been sung at the home support. Only in the last week, there have been complaints from a majority of the Blades away support, as the minority sang songs of support for the jailed Ched Evans during games at Notts County and Preston. And if you want my views on that situation, read this. The thing is those vile chants had faded into the background. I am not saying they have ever gone away, but you certainly haven’t heard as much about them in recent years. Yet in this modern world, where “banter” is the god awful buzz-word and a risible excuse for a multitude of spoken and typed sins, and in a society where the motto “Everyone else has got one, so why shouldn’t I?” is prevalent, people see such bile as acceptable. One justification I read last night, in a tweeted response to my criticism of events was; “Everyone (sic) teams’ fans have a go about Turkey”. So, the over-arching belief is, if every team’s fans do it – which they don’t – why shouldn’t we? One tried justifying their chants about Istanbul with a “Well they started it with the Dave Jones and Jimmy Saville ones.” Like two (or three) wrongs make a right; displaying flawed logic on so many levels. Dave Jones’ understandable focus on the personal abuse he received, due to past and unproven allegations, is bound to hurt. But in focusing on that and admonishing Neil Warnock for encouraging his team to acknowledge the away support, he has allowed elements of allegiance and club tribalism to cloud his emotional judgement. If Leeds should not acknowledge the away support, due to the widespread abuse and chanting, then Wednesday should not be acknowledging their support in the area of the North Stand where the Istanbul stabbing chants came from. Chants from a small proportion of the overall crowd in both instances, but a failure to acknowledge or admonish elements of his own club’s support for their failings. Even when interviewed on 5Live Sportsweek on Sunday morning, he failed to acknowledge this, skirting around the subject referring to the chanting going on around the ground. It was Neil Warnock, who raised the issue of the subject matter used by an element within the Wednesday support. How can clubs deal with the problem if senior officials cannot publicly admit there was one? People too worried about upsetting their supporters; local media too worried about souring relations with the club they rely on for stories and therefore circulation/listener figures. Albeit, and thankfully, isolated incidents football authorities and the police need to be seen to be taking strong action, by which I mean action which hasn’t been seen before. Whilst Wednesday received no punishment for the Palace game, West Ham were fined a small six figure sum for the repeated pitch invasions and trouble at their game with Millwall in 2009. These are hardly a discouragement from a repetition of those scenes when a volatile situation arises again. Fans don’t see any impact of club fines and for clubs of the size of West Ham or Wednesday or Leeds the amounts involved are hardly material amounts. The problem for me is that the police are frequently looking for easy arrests at football matches. We have all witnessed instances of police or steward over-reaction leading to un-necessary action. Read the twitter timeline of Amanda Jacks the FSF Fair Cop, you will see many examples of this. Thankfully, you will also read many examples of what can happen when the right help is sought by fans after the event, or what greater awareness of their rights can help them avoid. Police must focus on policing the minority, not the majority and be seen to take appropriate action when required. The same goes for stewards, many of whom seem keen to look for a fight rather than doing their job. As for punishments for clubs....Banning away support is not an equitable answer. In fact this impacts on other clubs as much as the club whose fans have the transgressors. They suffer a lack of income that the away supporters provide, both in terms of gate receipts and discretionary spend. Therefore clubs need to be punished by a points reduction if their fans enter the field of play. If this then leads to an act of violence against player, opposition fan, then this should increase; as should the punishment for clubs with repeat offences. A potential points deduction should also encourage fellow fans to restrain those who put their club at risk. As for the clubs who fail to control fans in their stadium then ground closures should follow. After incidents with persistent standing, the firing of distress flares etc at Bramall Lane some 9 years ago we had the parts of the ground nearest to the away end closed. This should be more widespread, after all how many times have you heard this having been applied since? I am not suggesting the management of thousands of individuals, amongst which a small proportion are intent on causing problems, is easy. However, they owe a duty of care to the people in the stadium that when they buy a ticket, they are not going to be caught in the crossfire of verbal and physical abuse that they do not want to be a part of. They also need to act when clubs undertake wanton destruction of the opposition’s ground. When Leeds visited Bramall Lane in 2003, seats were smashed and thrown on the pitch. I am not aware of any action being taken. There should be compensation to the home team for damage caused and a fine on top as well. Recent surveys have shown the average age of football supporters at British matches is increasing as the young and families struggle to find the money for increasing gate prices. Yet when they do go, they risk being exposed to this and the next generation is deterred. I have already heard, on local radio, one father saying that his 8 year old doesn’t want to go to football again after witnessing events of Friday night. One final point. If football needs its fans to clean up their actions, then they need to sort out those who hurl abuse, use physical violence on the pitch. Why in football is it deemed okay for a worker to abuse those who employ him (Ashley Cole – no punishment), to use racist language and abuse (John Terry and Luis Suarez), assault other players (Joey Barton). You can go back to Di Canio and his assault on Paul Alcock. If this was anything but sport, anything but football, these people would be out of a job and finding it extremely difficult to be re-employed. Not receiving a six-figure weekly salary, retaining their captaincy and edging towards 100 caps for their country. What fine examples they are to those watching on from the stands. They are the untouchable generation, suffering minor inconveniences in terms of punishment. It hardly sets an example in terms of behaviour or punishment. Football has to get its act together and it is incumbent on all involved in the game from stands, to pitch, to the administrators to play a part. Well said that man - and this from a (ex) Wednesday fan who has stopped going and started watching non league instead. I can only recommend dropping down several levels to watch matches - proper football and proper supporters. No segregation and other than the odd idiot - generally roundly condemned by both sets of fans - I've not seen a problem in several years. I was a season ticket holder at Wednesday for 15 years and never felt as welcome or part of the club as much as I did within a couple of games watching Sheffield FC. The youth, women's, over 35s & Futsal teams are a part of the club unlike at pro level where most care only about the first team and it is like a different sport to the money driven business of the top leagues. I've been taking my son to Sheffield FC since he was 3 and have no issues with continuing to do so. As I drove past Hillsborough the other night we discussed going to a game in a few years, he's 6 now, but the other night made me not want to do that for a long time yet. Yes Leeds fans are perpetually trouble makers but plenty of Wednesday supporters and the managers blinkered comments are just as much the reason I don't attend any more and have no plans to do so in future either. I've been to many games at Bramall Lane (blame it on my Dad!) and there is no great difference between the sets of fans - both generally amongst the best and most loyal support in the game, but both with a steady share of brain-dead idiots too unfortunately. And to Wednesday fans - Curtis may be lively with his comments on twitter but will welcome all supporters at Sheffield. Perhaps some of his tweets are not to my personal taste (although trust me he gets way more grief than he gives out on twitter) but his actual actions with Wednesday fans at games has been welcoming, in good spirits and exemplary. Hopefully see you at a game soon - come along and say hello to the fans and the novelty is you'll get a warm welcome in return! Good post. Do you think a points deduction is really the answer though? That was my initial reaction too, but the more i think about it, the more I think its a dangerous road to go down, extremely open to abuse. For example, I'm a Plymouth fan - what's to stop me putting on an Exeter shirt and going to their place, getting on the pitch from an unpoliced area of home support and assaulting the away team, knowing that our local rivals will get deducted points as a result? My good sense, obviously. But do you really think there aren't people who would take a ban in exchange for denying a team promotion or causing relegation? Ian, how do you deal with a situation like the one at Bramall Lane several weeks ago, where Oldham player Lee Cook (allegedly) racially abused a ball boy, and subsequently angered/received abuse himself (from Blades fans) when ultimately he wasn't guilty?! Slightly different to the situation you discuss above, but an example of where the 'mob' mentality takes over?